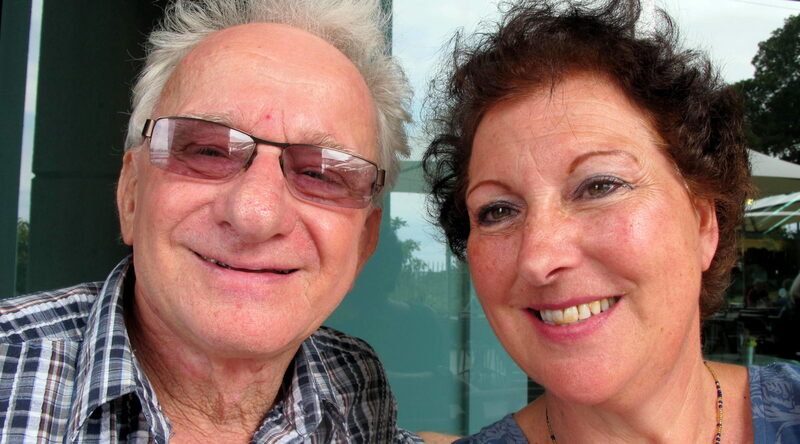 BALTIMORE (JTA) — As Jacky Gibbs and Peter Keeda enjoyed lunch together at a restaurant in downtown Sydney, they remained struck by the serendipity that had reunited them. Until March, the two cousins had not seen each other in decades — if they’d ever met at all, a point about which they are unsure. Gibbs, 59, lives in Koolewong, a town just 40 miles north of Keeda’s Sydney apartment, but until a few months ago she didn’t know that he’d moved back to Australia after many decades in Israel. Indeed, Gibbs had been unaware that the former Peter Cohen had changed his surname soon after immigrating as a young man to the Cohen-heavy Jewish homeland. “The fact that we’ve made contact again is fantastic,” Keeda said at the lunch last week. This column in January told the story of Keeda’s researching a little-known episode involving Jewish refugees whom British authorities transferred from Cyprus to Palestine to East Africa during World War II. Keeda, a 69-year-old retiree, wanted to locate and interview some former refugees or their descendants for his master’s dissertation. Several readers responded to “Seeking Kin” to tell of their connections to unusual British resettlement schemes, although not to the one that interested Keeda. At about the same time, Gibbs had begun her own writing project: a book about the life of her late mother, Betty. Having lost touch with her mother’s relatives, she went online and came across a blog on Koziwoda genealogy. That was the surname her ancestors had adopted, after a village in Poland, Kozia Woda. A few generations later, Koziwoda evolved into Cohen. A fascinated Gibbs read the blog and saw that it had been launched by Keeda. Gibbs sent Keeda a message through the blog, but it bounced back. She searched for him online and immediately found the “Seeking Kin” article. Gibbs e-mailed this column’s writer to ask that her message be forwarded to Keeda. “Oh, my G-d, it’s you!” Gibbs recalled Keeda responding when he received her e-mail. The cousins then spoke by telephone, and Keeda and his wife, Erica, soon arranged to host a reunion to which they invited Gibbs and several other cousins. At the gathering, the attendees who had maintained contact with one another now welcomed Gibbs. Photographs were passed around with the sandwiches and cake, but Gibbs was too busy digesting the conversation to eat much. She enjoyed showing off pictures of her children and grandchildren — an activity that meant a great deal because it was one she had not before indulged in with this branch of her family. Most of what she saw and heard that day was new, even when it was old. One relative brought a photograph of Gibbs’ great-grandmother in 1904. Another picture showed relatives standing in the dried-fruit processing factory once owned by Keeda’s father and several other relatives. They discussed the family’s business, too. Gibbs wanted her book to include descriptions of the company about which she had heard a lot growing up. Now she had found her sources. The next week, another cousin died suddenly. The family gathered again. At least they could share life’s ups and downs, she said, which was preferable to being disconnected. Gibbs thought that perhaps the stigma of her mother’s having been a single parent had kept the branches of the family apart beginning long ago. A reason the breach continued, she surmised, may have been because Gibbs’ husband, Murray, was a non-Jew. Whatever precipitated it, Gibbs said, she is so over the fracture. Now she enjoys being inside the family circle and plans to include her children and grandchildren in gatherings, allowing the bond to endure. Having found Keeda and other long-lost relatives, Gibbs would like to host them at her home and swap more photographs, stories and memories. Catching up takes time, and much already has been wasted. The reunion in March had “opened Pandora’s box,” she said. “Once you start opening, you get lots and lots and lots of information,” Gibbs said.